Engadget is running a multipart piece on bump keys and how they work in detail. 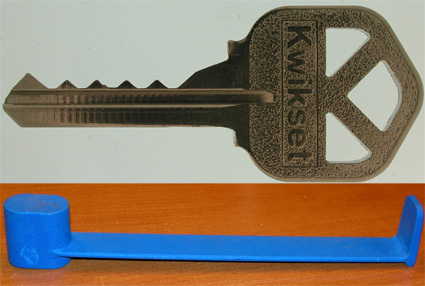 This explains all the physics behind why a specially cut key can open any mechanical lock it fits in with a little bit of applied force (the bump key for Kwikset locks and a kinetic energy tool are shown above). It is a very interesting read for those who are into security or physics.